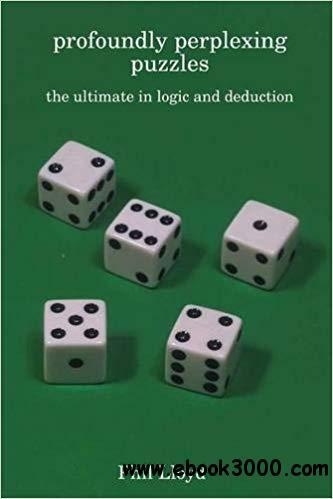 If you are looking for the ultimate in logic puzzles that require pure deductive reasoning then this is the first of two collections for you. Even if you are new to logic puzzles, the startlingly simple instructions and crystal clear grids provide an easy introduction to this totally absorbing and intellectually stimulating pastime. Every puzzle is a whodunnit in its purest form with each grid being a scene of crime, each digit representing a potential suspect and each clue providing vital forensic evidence. However, unlike those misleading murder mysteries, there are no lateral-thinking conundrums, no ambiguous instructions, no contradictory revelations and no requirement for specialist knowledge. By determining means, motive and opportunity as well as moving from the possible to the probable to the provable, every 'crime' contained herein can be solved by using pure intellect and reason: all you need is the perception and perseverance to identify and pursue the right line of enquiry.